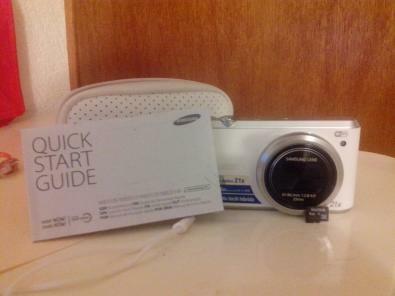 SE VENDE CAMARA SAMSUNG MODELO WB350F SEMINUEVA NO MAS DE 1 MES DE USO.INCLUYE: CORREA, MEMORIA MICRO SD 8 GB, ESTUCHE, MANUAL, CAJA ORIGINAL Y GARANTIA!!. 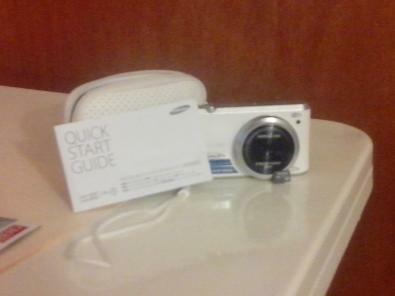 21x DE ZOOM CON CALIDAD DE 16 MP O HASTA 42x DE ZOOM CON CALIDAD DE 12 MP. TECNOLOGIA WIFI, COMPARTE LAS FOTOS QUE TOMES EN TUS REDES SOCIALES INMEDIATAMENTE. TECNOLOGIA MOBILE LINK, TRANSFIERE TUS FOTOS DE LA CAMARA A TU SAMRTPHONE SIN CONECTARLOS A UNA PC. PANTATA TACTIL. MAS DE 20 FUNCIONES QUE VAN DESDE FOTO EN MOVIMIENTO. PAISAJE, MEJOR ROSTRO, ETC.